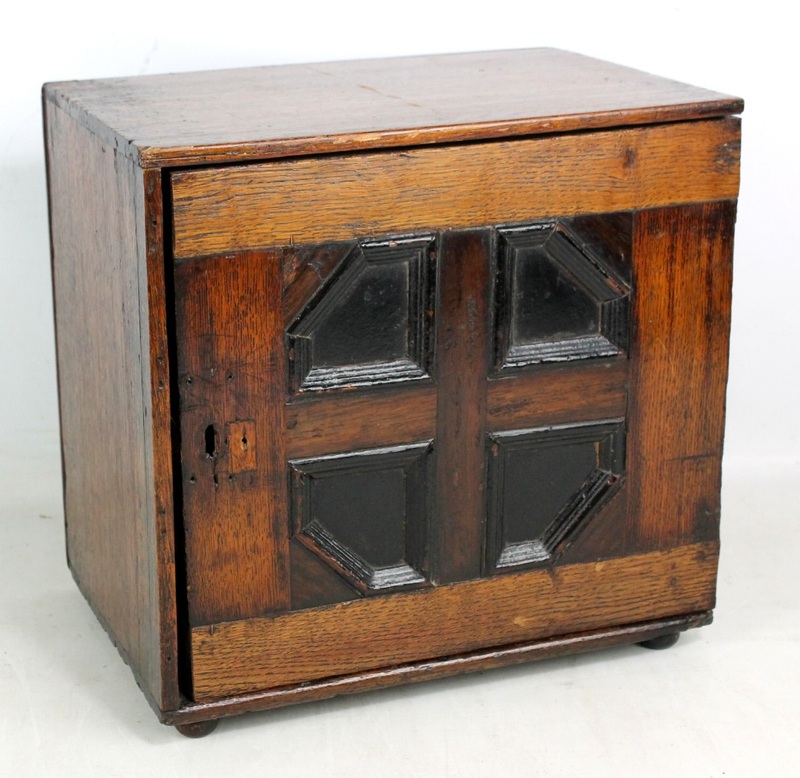 An early 18th century oak spice cabinet with geometrically moulded hinged door enclosing an arrangement of eight drawers with brass drop handles, height 37.5cm, width 39cm. 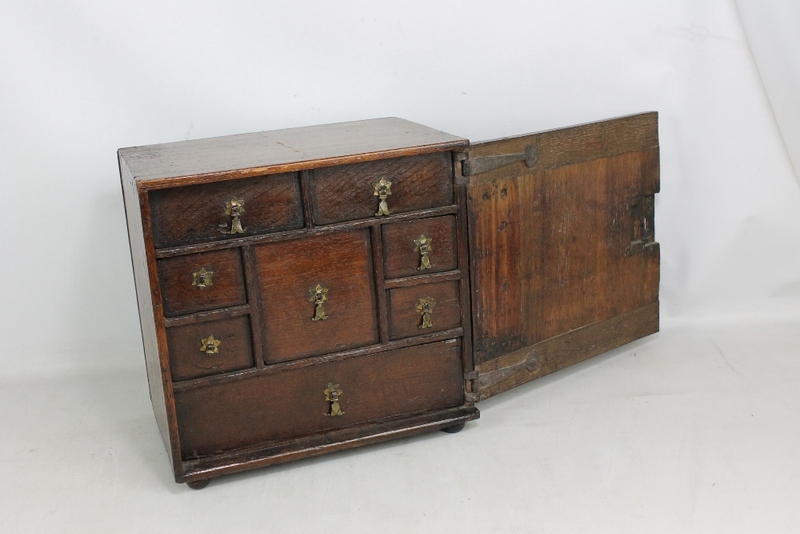 Lot 49 A porcupine quill box (af), a glove box inscribed 'O.W. ', small trinket boxes, etc.